our wide range of informative exercise, dietary or yoga and more videos, this is the area for you. with information on our Peer Review process. fundraise, easily donate, set up standing order which helps us to help others. 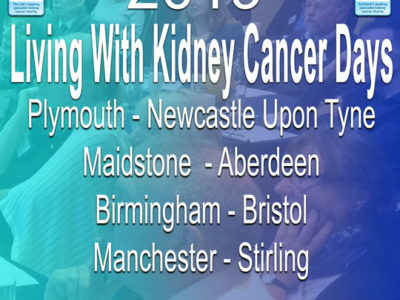 Check the dates for our nine free to attend, Living With Kidney Cancer days 2019. 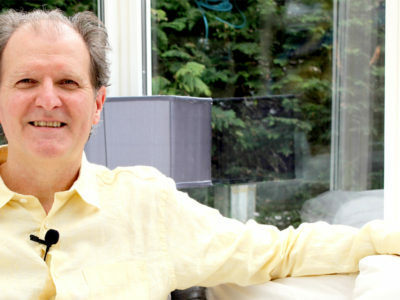 Kidney Cancer UK and Kidney Cancer Scotland provide the UK's first, free, dedicated Kidney Cancer Counselling Service. Every year, more than half a million people help the NHS improve healthcare and develop life-saving treatments by taking part in clinical trials. Two years ago, I thought my life was over. 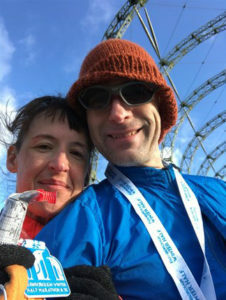 Two years, eleven days and a handful of hours ago, a very kind NHS team eased my 40-year-old, marathon-running, century-cycling partner and me into the idea that he had a Stage 2 Renal Cell Carcinoma (RCC) in his left kidney, and that it was big enough to worry about metastasis. It’s weird, I know, to say that I thought my life was over. But because I was diagnosed with depression and an anxiety disorder at a very young age, my partner was my rock. Where I am volatile, he is steady. While I am glass mostly empty, he is almost always glass nearly full. We’ve been together longer than we’ve been apart and all of a sudden, I was staring down not only a life without him, which was already unfathomable. But the resurgence of emotional demons long restrained and itching for fun. A life I literally could not tolerate. I want to talk about depression and anxiety in caregivers. In the first few months, with hospital appointments and scans and visiting friends and relatives, wound-cleaning and research and recovery, it’s sometimes possible to hold back the – well, for me it’s a black hole; everyone experiences it differently – just enough to cope. But when those immediate worries stretch into the months between appointments and scans, there’s so much time to imagine the worst. And when you already have depression, the worst can be really, really bad. 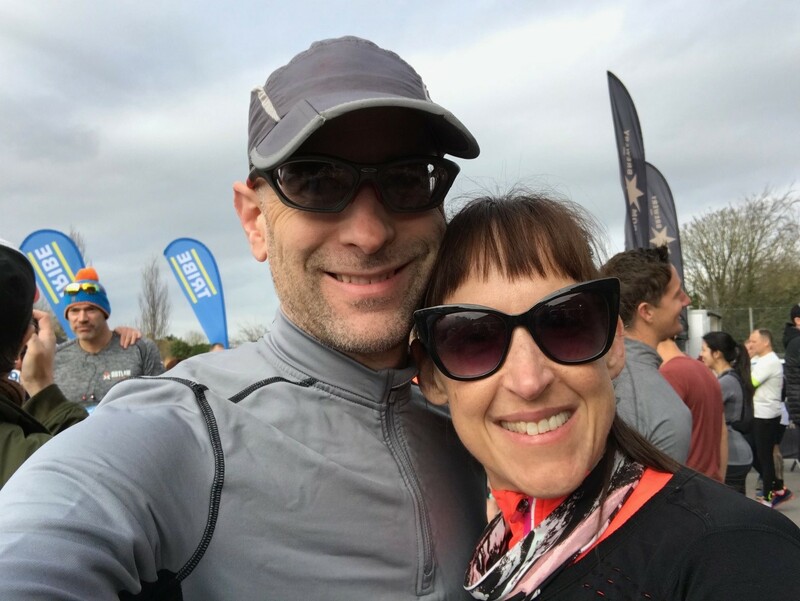 For me, I was convinced that losing my partner to kidney cancer would mean losing both of us. It’s okay as a carer to need help. We’re two years out from the surgery, (it hadn’t been metastatic, thank goodness) and I still use the strategies I learned from a therapist to get between appointments – focus on now, understand that the past (clean scans) is the best predictor of the future, breathe before you panic, exercise, remember to take your medicine. And that’s why the work of Kidney Cancer UK to support families is so incredibly important, and why we passionately stand behind it. Am I stronger than I was? Probably not. Have I survived two years, eleven days and several hours longer than I ever thought possible? I sure have. Last weekend we ran our third half-marathon of the year. We’ve pledged to run 13 of them this year to raise funds for Kidney Cancer UK. Every step is a reminder that we’re both still here and still moving forward. For the moment, it’s enough……Breathe. 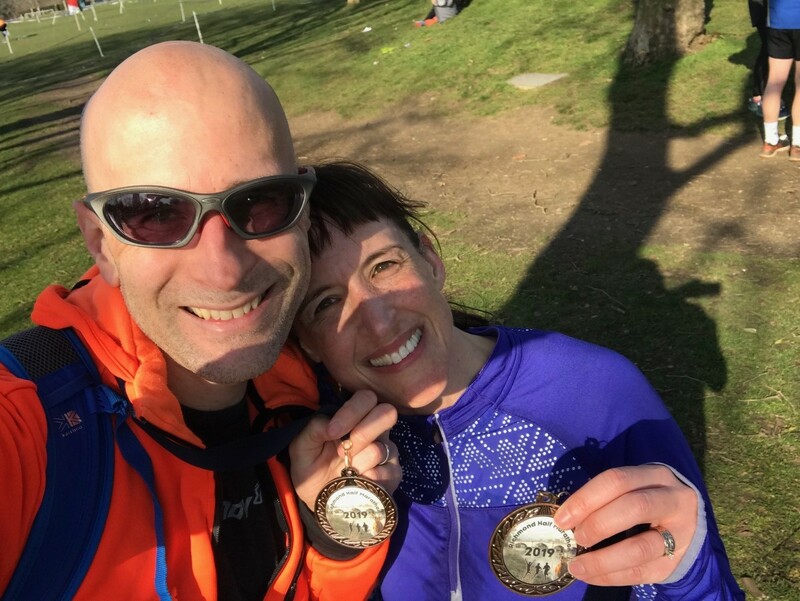 To support Kurstin and Jesse in their runs visit their JustGiving page here. 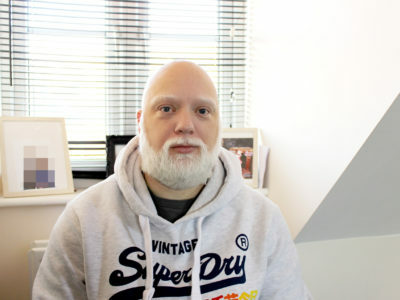 Added by Kidney Cancer UK. If you are affected by any elements of this blog we have a counselling service available free to patients, carers and their families. Please follow this link for more information. 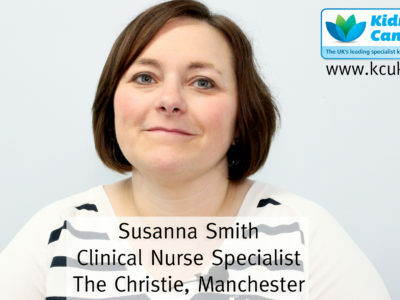 Note: The views and opinions in this blog post are those of the author and do not necessarily reflect the views of Kidney Cancer UK or Kidney Cancer Scotland . 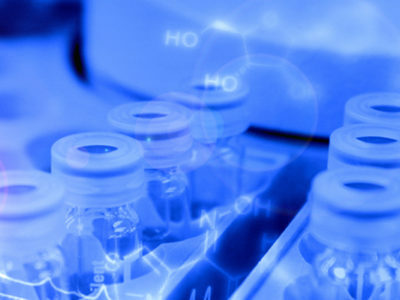 Bristol-Myers Squibb has announced that the National Institute for Health and Care Excellence (NICE) has issued a Final Appraisal Determination (FAD) recommending the combination of Opdivo® (nivolumab) plus Yervoy® (ipilimumab) to treat NHS patients in England with renal cell carcinoma (RCC). This recommendation signifies an important landmark in the treatment landscape representing the first approval of an immuno-oncology combination therapy for first-line patients with this type of cancer in England. Nivolumab and ipilimumab will be immediately available on the Cancer Drugs Fund as a first-line treatment option for previously-untreated intermediate- and poor-prognostic risk advanced RCC, and could be a treatment option for up to 1700 patients each year in England. 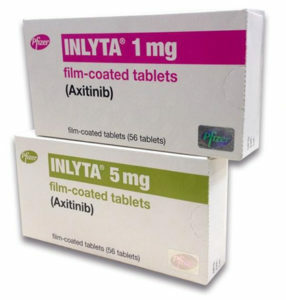 The recommendation is based on data from the Phase III CheckMate 214 study of 1096 patients, which was stopped early after a planned interim analysis showed that the combination of nivolumab and ipilimumab demonstrated superior overall survival compared to sunitinib, a current standard of care. 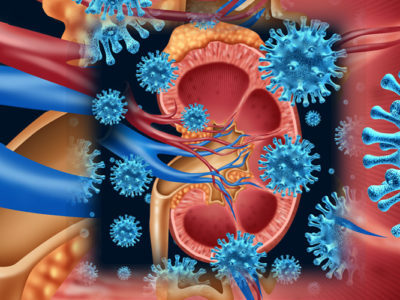 “It’s very good news that the combination of nivolumab and ipilimumab has now been approved for use in patients with intermediate- and poor risk advanced renal cell carcinoma. 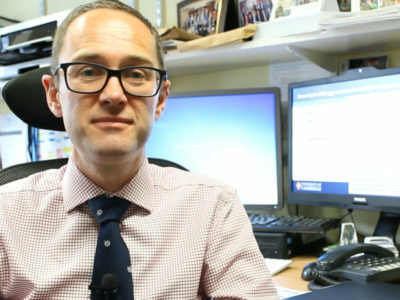 A study has demonstrated that this immunotherapy combination is superior to sunitinib in extending overall survival and may now benefit patients whose lives are threatened by a cancer that has increased in incidence by nearly 50% in the last decade,” said Dr Paul Nathan, Consultant Medical Oncologist at Mount Vernon Cancer Centre, East and North Hertfordshire NHS Trust. I want to start, first and foremost, by saying there are no right or wrong answers to this puzzling question. Parents or guardians know their children best, and on that basis, it is their decision whether to allow their children to have maximum, or minimum, exposure to the illness and its effects as they see fit. The following is only an articulation of how I feel on the matter, based on my own experience. To make this rather sad topic more tolerable, I’ve opted to focus less on the specifics, and more on general advice for those dealing with the struggles of cancer more generally, and the involvement of children in this process. For some context: My name is Emma, I am a twenty-two, nearly twenty-three-year-old Master’s student, and I lost my dad to kidney cancer when I was twelve. My dad was diagnosed in August 2007, and by the October of the following year, he had passed away. I wanted to write this post for one particular reason: my experience, though undoubtedly traumatic, is not in vain if I can help others who find themselves in a situation similar to my own. This guidance, if you can call it that, is applicable not just to kidney cancer, though a lot of my experience and advise (for want of a better word), is rather specific. 1: Too involve, or not to involve. As I have grown up, I have felt that I did not really understand my dad’s illness, how it progressed, and its symptoms more generally. This is a reflection of the fact that both my sister and I were very young when my dad was diagnosed; this does not take away from the pain it has caused as I have gotten older. I have felt guilt in a way I cannot describe for failing to spot his symptoms; failing to understand how his illness could progress and develop in the manner it did. This is a reflection of kidney cancer more generally. The symptoms seem disparate and often unrelated not just to cancer, but any illness generally: lower back pain, blood in the urine, fatigue, loss of appetite, and so forth. If you find yourself in the position where you are either suffering from kidney cancer, or in a relationship with someone who does, and children figure into the relationship, consider the following: how involved do I want the children to be? I ask that for a number of reasons. Involving children has the potential to cause hysteria and upset; I cannot tell you the pain I experienced when seeing my Dad in a hospital bed. However, as I have gotten older, I can tell you with one hundred percent certainty, that I am glad I saw him in this state. Though I do not wish to undermine the pain it caused at the time and in my grieving (which is a life-long process, I will be honest in saying), I developed a new understanding of my dad and who he was. He let down a number of barriers; he no longer put on this macho-man front. He was no longer distant and thinking solely about work. He had nowhere to be. His role was simply to be a father to both myself and my sister, and husband to my mum. The benefits of this arrangement came from the fact that, aside from the frequent hospital visits, the occasional Saturday mornings where I would wake up, alone, as my dad had been rushed to the hospital in the middle of the night, my routine stayed monotonous. My mum, and I thank her for this, did not allow my life to become consumed by his illness. I went to school, I played sports, I danced. This normality could be seen as a stark contrast to what my dad was experiencing, but it kept life lighter, more joyful, for my sister and I. Saying that, there are other aspects of his illness that I still find myself questioning. Why did no one spot it earlier? Why did it take so long for him to get diagnosed? Why did I ONLY realise the severity of it when I was told, by a nurse, that he was expected to die the next day? These are questions that, as I have gotten older, I find myself more intrigued by, and I want to know more. I am older; I can cope better. To what extent you involve children in this process is entirely up to you. If I can say one thing, it is this: Children are not as unaware, or as naïve as you think. If someone is in pain, children will spot it. The awareness and honesty children possess is something rather fascinating. Though young children cannot fully comprehend illness, they can understand when someone is in pain. To break to a young child that their relative is very ill is something I wish to never experience, though I have been at the other end. It is worth purchasing books that assist in this process, I know my mum did in order to tell my sister and I. Do it in a way so as the severity of the situation is not masked, but in a relaxed environment. Maybe buy an ice cream, or a sweet they enjoy? There is an art to mastering this process, and whether it goes the way you want it to can never be guaranteed. It is a situation which risks heightened emotions, untoward behaviour, anger, and sadness. Whilst cancer is painful, the process of someone dealing with the illness can be dealt with in a manner beneficial to everyone. Be calm and collected to the best of your abilities. Tell them, depending on their age, what the situation at hand is. Explain that there will be good days and bad days in equal measure. When my mum told my sister and I, I remember feeling nothing but shock. I had known my dad was ill, but not to the extent that it was cancer. But then again, I did not know what cancer was. I knew only it was serious based on the fact my mum broke down and would not stop crying. 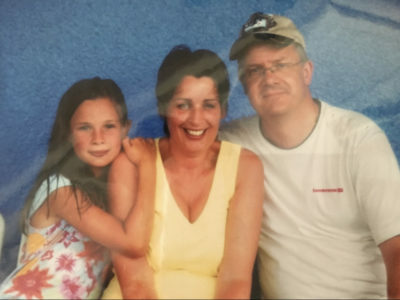 That memory has stayed with me ever since, and it will do for all children who face being told a relative has an illness, cancer or otherwise. I don’t wish to say there is a right and wrong way to approach this situation, because there isn’t. Know that you are strong and capable of anything, and that any time you need support, your support network is broader than you think. Reach out; help is always there. White blood cells known as B cells have been shown to be effective for predicting which cancer patients will respond to immune checkpoint blockade (ICB) therapy, according to a study at The University of Texas MD Anderson Cancer Center. Study results will be presented April 2 at the AACR Annual Meeting 2019 in Atlanta. 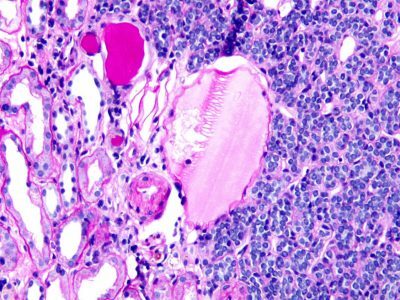 The study, led by Jennifer Wargo, M.D., professor in the Surgical Oncology and Genomic Medicine, found that some B cells with unique characteristics predicted response and may be contributing mechanistically to the immune system’s response. The B cells had activated effector phenotypes and were located within lymphoid formations found at the tumor site, known as tertiary lymphoid structures (TLS). The researchers looked at samples from metastatic melanoma and kidney cancer patients who had received ICB as their initial treatment. The B cells may be impacting the immune system’s response through secretion of antibodies and/or by processing and delivering antigens to white blood cell subtypes called T lymphocytes. While cytotoxic T-cell markers, PD-L1, and mutational burden have been previously identified as biomarkers of response to ICB, there is a growing appreciation of B cells as biomarkers mediators of response, although B cells have also been linked to negative cancer outcomes. Class-switch references a B cell’s ability to change production of an antibody from one class to another. The team found higher frequencies of class-switched memory B and plasma-like cells in patients who responded to ICB. Patients who did not respond to ICB had higher levels of naïve B cells which have not yet been activated for a designated purpose. 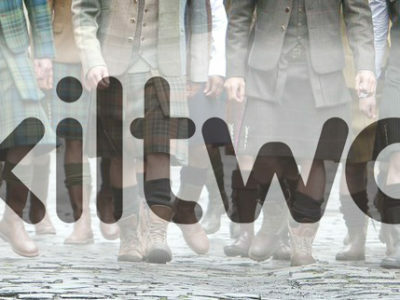 We are delighted to be participating in the Kiltwalk fundraising events in Scotland. 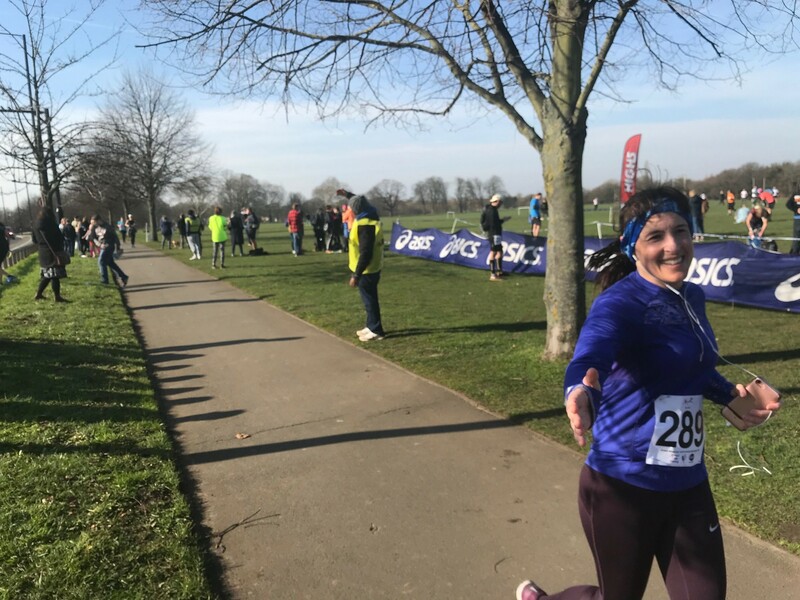 Charities participating in the events will see their fundraising topped up to an incredible 40%, every penny raised going to our Charity so let’s get involved, get fit, have fun and raise some money! Wee Wander (approx. 6 miles). There is a walk to suit everyone. Before you register contact us as we have a limited amount of pin codes and we will cover your entry costs so please, if you are interested, let us know and we will tell you what to do next. 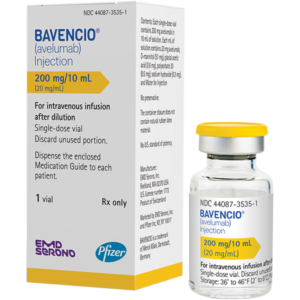 The European Medicines Agency (EMA) has validated Merck’s application for Bavencio (avelumab) for the treatment of patients with advanced renal cell carcinoma (RCC). The review is for the Type II variation application of the drug in combination with Inlyta (axitinib), and is based on results from the pivotal Phase III JAVELIN Renal 101 trial. 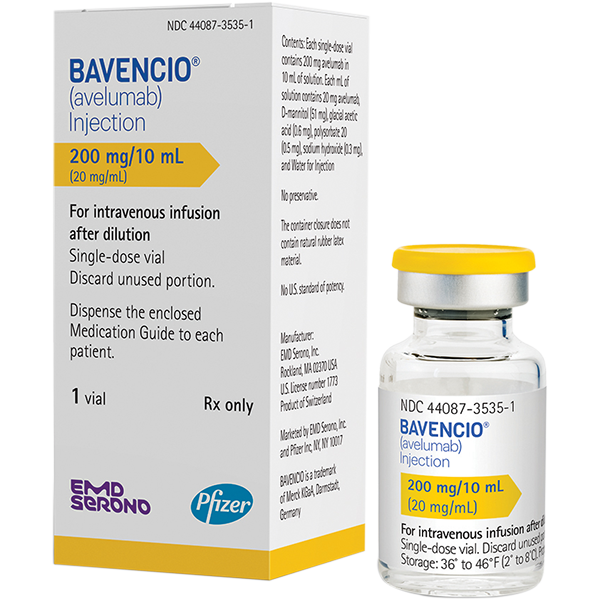 JAVELIN involves at least 30 clinical programs and more than 9,000 patients evaluated across more than 15 different tumor types. In addition to RCC, these tumor types include breast, gastric/gastro-esophageal junction, and head and neck cancers, Merkel cell carcinoma, non-small cell lung cancer, and urothelial carcinoma. The trial results were published in the New England Journal of Medicine on February 16, 2019. The US Food and Drug Administration (FDA) has also accepted a supplemental Biologics License Application for the drug combination, for patients with advanced RCC for Priority Review. The target date is June 2019, and a supplemental application for the combination in unresectable or metastatic RCC has also been submitted in Japan. © 2014 - 2019 James Whale Fund Ltd.
Kidney Cancer UK, Kidney Cancer Care and Kidney Cancer Scotland are trading titles of James Whale Fund Ltd.